Friends of mine know that I’m all about making life plans. I have a new plan at least once a week. One reoccurring life plan I have is to move to Indonesia and start a chocolate covered frozen banana stand. Who’s with me?! This is my healthy take on classic valentine’s chocolate. These taste like ice cream truffles! You can make this frozen treat in less than 30 minutes! 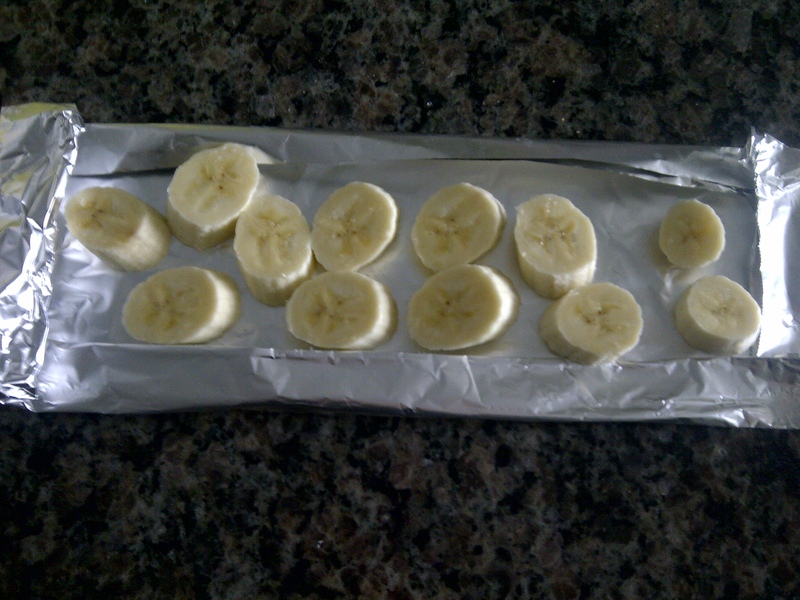 If you have a cookie sheet use that or make a little aluminum foil tray for the banana pieces. Cut the banana into small bite sized pieces … otherwise it will taste like you’re biting into an ice cube. Put the banana tray in the freezer for at least 20 minutes and up to overnight. 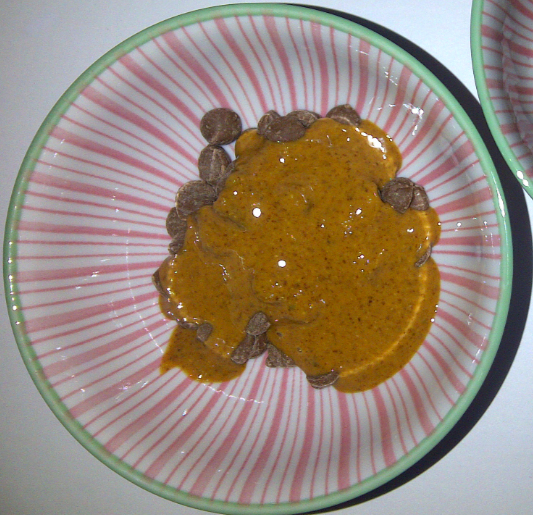 Once your banana bites are frozen melt your chocolate and almond butter in a microwave on 30 second intervals, stirring to mix well. 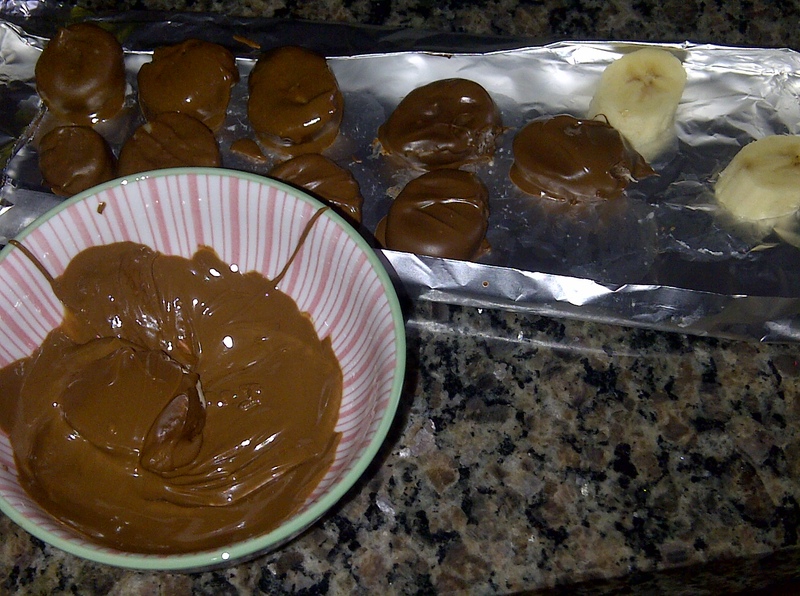 Then dip your banana bites into the almond-chocolate mix! Place back into the freezer for at least 10 minutes and up to overnight. 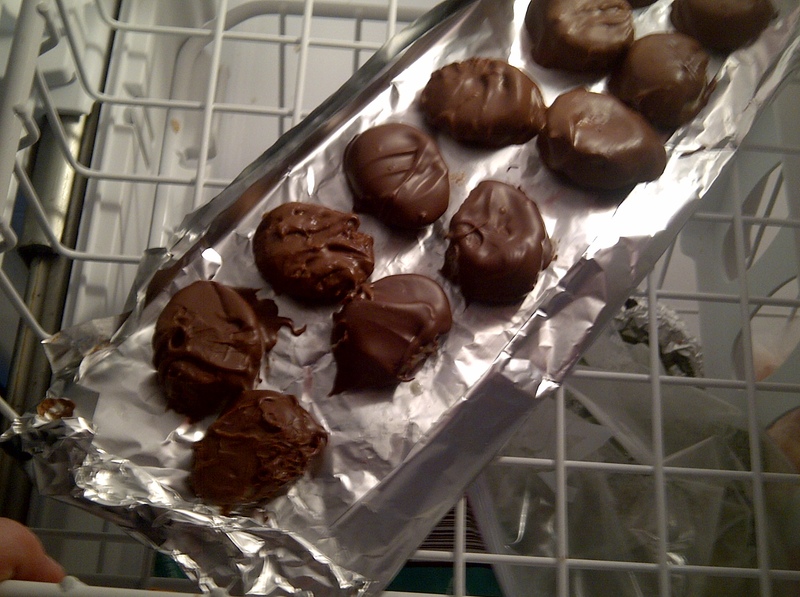 Before serving take out for 5 minutes and let them thaw slightly. To my valentine, Matt. Thanks for being my biggest supporter and constant believer, I love you so much. I’m hoping you don’t see this before tonight! Now you have R2D2 treats!